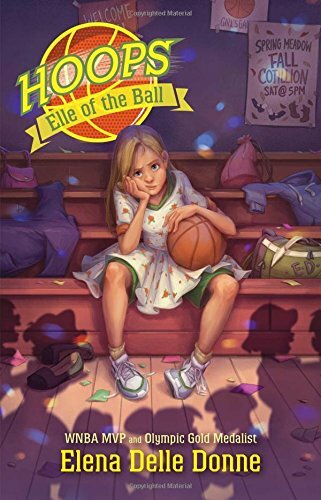 From 2015 WNBA MVP, 2016 Olympic gold medalist, and global ambassador to the Special Olympics Elena Delle Donne comes the first novel in a brand-new middle grade series with as much heart as there is game.Elle Deluca is a seventh grader who is tall--not just sort of tall. She's six feet tall. And for a twelve-year-old girl, this means that her basketball team has high hopes for her changing positions and becoming their starting center. But a new position is not the only footwork she has to learn. Her class's dance unit in gym is coming up, and that means she has to learn ballroom dance steps with a boy much shorter than her--and perform publicly for a grade. In the first book in WNBA MVP and Olympic gold medalist Elena Delle Donne's Hoops series, Elle must figure out a way to remain herself when others want her to be someone else.